Pulmonary embolism (PE) is a serious and potentially fatal condition that is estimated to affect around 650,000 patients per year in the United States . Pulmonary embolism is notoriously difficult to diagnose, and deaths related to untreated PE are estimated at 120,000/year. These statistics emphasize the difficulties in both suspecting and confirming the diagnosis of PE. A noninva-sive method for evaluating PE has long been sought. Conventional angiogra-phy remains the gold standard for evaluation of pulmonary vascular anatomy, but its invasive nature is a drawback which avers most physicians from commonly requesting it. 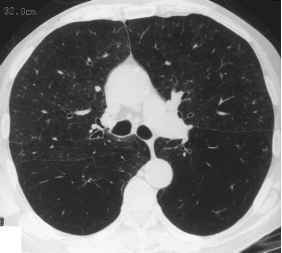 Radionuclide ventilation-perfusion (V/P) scanning and, more recently, computed tomography angiography (CTA) are more commonly used as first-line investigations for the diagnosis of PE. Scintigraphy has limited spatial resolution for the diagnosis of perfusion abnormalities and does not directly image arterial anatomy. Computed tomography angiography is gaining popularity as a screening technique for PE [2-9] and its ready accessibility and impressive record in recent studies have already gained it widespread acceptance. Furthermore, the recent development of multidetector systems may improve the conspicuity of the peripheral pulmonary vasculature and increase the sensitivity for detection of subsegmental pulmonary emboli. Recent studies have also demonstrated the use of CT for combined evaluation of the pulmonary arteries and the pelvic veins in one examination . However, disadvantages of CT include the need for large intravenous injections of potentially nephrotoxic contrast medium and exposure to ionizing radiation . Although CT has already gained wide acceptance as the primary cross-sectional technique to evaluate PE, many patients cannot have a CT examination because of an allergy to iodinated contrast media or severe renal insufficiency. These are not, however, contraindications to magnetic resonance imaging (MRI) evaluation. MRI is a particularly appealing modality for diagnosing pulmonary embolism as it does not require radiation or iodinated contrast medium, can also evaluate the pulmonary vasculature and deep veins in one study, and can assess pulmonary perfusion and ventilation as well as the pulmonary vasculature. This chapter reviews the state-of-the-art development of pulmonary MR imaging for PE, the current clinical applications of the technique, and the prospects for future development. Diagnosis of PE with radionuclide imaging is based on ventilation-perfusion mismatching and is expressed on a semiquantitative probability scale. In 1990, the multicenter Prospective Investigation of Pulmonary Embolism Diagnosis (PIOPED), sponsored by the National Institutes of Health, compared V/Q scans with conventional pulmonary angiography for the diagnosis of PE . Seventy-eight percent of V/Q scans in the PIOPED study were read as intermediate, indeterminate, or low probability and therefore provided no firm diagnostic information. Other limitations of this exam include a relatively lengthy duration, the injection of a radioisotope, low-resolution images, and lack of direct arterial anatomic information. A better screening tool is clearly needed. Since the early 1990s several promising new modalities have emerged for evaluation of patients with sus pected PE. The D-dimer assay, a marker of fibrin lysis, is an emerging screening test with a high negative predictive value for PE. The long time required for this assay and its low specificity, however, limit its clinical usefulness . Transesophageal echocardiography can image pulmonary embolism in central pulmonary arteries, but preliminary tests suggest that it has a low negative predictive value and cannot be used to exclude pulmonary embolism. Pulmonary angiography is widely accepted as the gold standard for evaluation of arterial anatomy. However, the procedure is invasive and is associated with a small but definite morbidity and mortality (0.9% major complication rate), which is increased in the setting of pulmonary hypertension . Although regarded as the ''gold standard'' for diagnosing PE, there is a 30% interobserver variation at the subsegmental level and many other interpretative difficulties. Helical CT angiography has emerged as a popular new technique for assessment of the pulmonary circulation [2-9]. 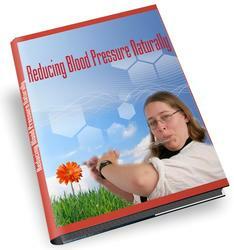 It has proved extremely useful for the detection of PE with reported sensitivities and specificities of 53-92% and 95-100% respectively, particularly in the central vessels [3-6]. Although lower sensitivities (45-60%) have been reported for segmental and subseg-mental emboli using older systems [2,7], optimization of scanning protocols  and newer multidetector systems have the potential to improve this. To date, CTA has performed far less well in diagnosing PE in subseg-mental vessels. The significance of these peripheral emboli, is unclear, however, and it is not known if they herald larger emboli. Subsegmental emboli appear to have no significant effect in patients with good cardiopulmonary reserve but may be fatal in a compromised patient: 8 of 77 compromised patients with low probability V/Q scans (and not treated) died of PE (at postmortem). Their frequency in isolation is also not clear; Oser et al. found that 23 of 76 consecutive positive angiograms (30%) had subsegmental emboli only and 19 of the 76 (25%) patients had a single embolus . The significance and isolated occurrence of subsegmental emboli is an important issue as the CT interpretative difficulty at this level is mirrored at MR imaging. It is clear that the ideal diagnostic test for PE is still being sought. As PE disrupts the gas exchange between the airways and the blood, a test that would incorporate both high-resolution imaging and functional pulmonary information would be welcome. V/Q scanning can evaluate regional ventilation and perfusion, but is limited by poor spatial and temporal resolution. While CT is an accurate method for the detection of regional morphologic abnormalities, it does not provide a direct functional assessment of the lung. Magnetic resonance has the attractive potential to provide both functional and morphological information and thus elicit both direct and indirect evidence of embolism. The use of MRI for the evaluation of pulmonary embolism has thus far been rather limited. The unique composition of lung tissue makes it one of the most difficult organs to evaluate with MRI. Its low proton density means little signal can be detected using conventional spin-echo (SE) or gradient echo sequences. Additionally, the air-filled alveolar subunits of the lung create local magnetic field gradients which rapidly dephase transverse magnetization producing further signal loss . Cardiac and respiratory-motion-induced artifacts are also difficult to avoid using conventional MRI techniques. Limited patient-breath-holding capability and difficulties monitoring patients in the scanning environment are further obstacles to successful pulmonary MR imaging. The underlying approach to help overcome these problems and acquire satisfactory lung signal is to rapidly acquire the signal before it decays by using a minimal effective echo delay (TE). Early studies using electrocardiogram- (ECG) gated SE MRI demonstrated emboli as intraluminal foci of intermediate to high signal but slow-flowing blood often could not be differentiated from emboli [17,18]. Gradientecho imaging, including cinegradient recalled acquisition in the steady state, is sensitive to flow and can demonstrate the embolus as a low-signal filling defect . The introduction of a new generation of MR systems with enhanced gradient performance has helped promote the application of fast MRI techniques to the thorax. Hatabu et al. described a multislice-interleaved sub-millisecond TE gradient-echo sequence which allowed complete coverage of the lungs in a single breathhold . High-performance gradients permitted TE values of 700 msec. This technique used fractional echo sampling, high bandwidth, and a truncated RF pulse to minimize the TE and has demonstrated a variety of parenchymal lung disorders to good advantage. Half-Fourier acquisition single-shot turbo spin-echo (HASTE) has also proved valuable in providing a reliable and rapid platform for thoracic imaging. An echo spacing of 4.2 msec can be used, and the resulting acquisition time for a 128 X 256 matrix is just 302 msec. The brief acquisition time renders the sequence insensitive to motion, and the short echo spacing makes it resistant to the heterogeneous magnetic susceptibility of lung parenchyma. A centrically reordered phase encoding scheme can be used for the singleshot turbo spin-echo sequence to make the effective echo time extremely short, thereby further reducing signal losses from short T2 tissues and providing higher signal-to-noise ratio (SNR). Furthermore, T1 weighting can be produced by applying an inversion recovery pulse to the HASTE sequence (Fig. Figure 1 Coronal half-Fourier acquisition single-shot turbo spin-echo (HASTE) (A) and inversion recovery HASTE (B) MR images demonstrating thoracic anatomy. 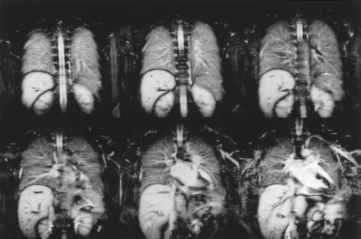 Figure 2 Multiple inversion recovery (MIR) HASTE MRI with six sequential coronal images of lungs showing anatomical detail. 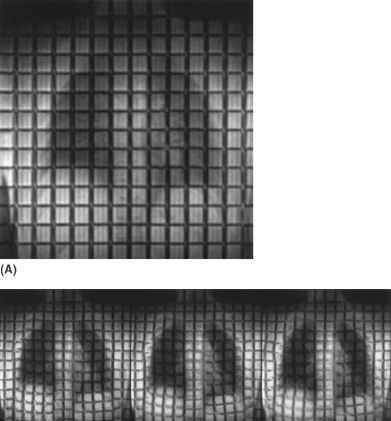 Figure 3 Coronal SPAMM (spatial modulation of magnetization) lung images with reference image at end of expiration (A) and consecutive images at 100-msec intervals (B). Grid tagging facilitates recognition of mechanical deformation over time. lism. Hatabu and colleagues ntegrated the SPAMM technique into a conventional cardiac-synchronized spin-echo sequence . Areas of persistent stripes were identified in central pulmonary arteries with thromboemboli, whereas the intraluminal stripes disappeared in normal pulmonary arteries. The new generation of MR scanners with high-performance gradients has greatly advanced the role of MR in imaging of the pulmonary vasculature. Improvements in gradient performance have made very short repetition and echo times on clinical scanners standard, thus enabling subsecond image acquisition. State-of-the-art capabilities now include functional imaging such as perfusion and ventilation and time-resolved 3D angiography. We now concentrate on some of these major advances in MR perfusion/ventilation techniques and MR pulmonary angiography. 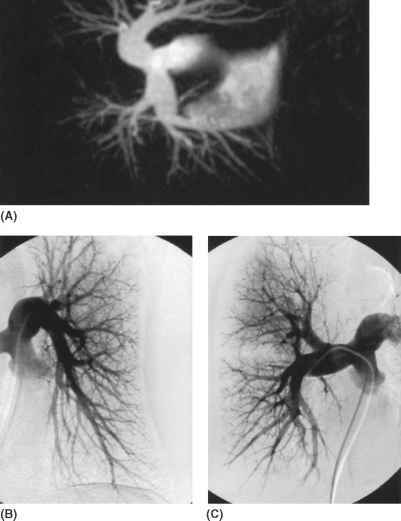 Pulmonary MR angiography (MRA) has evolved over the years. Initially time-of-flight imaging (TOF) was employed [21-24]. Several breath holds were generally necessary to cover the lungs, and scans suffered from misregistration and in-plane saturation signal loss effects, which mimicked the filling defects of emboli. McFall et al. used a single 4-cm slab acquired in the sagittal plane to image each lung separately . This allowed short scan times and suppression of venous flow, but poor spatial resolution and slow flowing blood artifact limited this technique. Wielopolski et al. devised a 3D TOF technique for imaging the pulmonary vessels but imaging times were very long, approaching 13 min . More recent advances in MRA have involved 3D GRE imaging following intravenous injection of gadolinium [26,27]. This has been probably the greatest single recent advance in clinical MR angiography throughout the body. 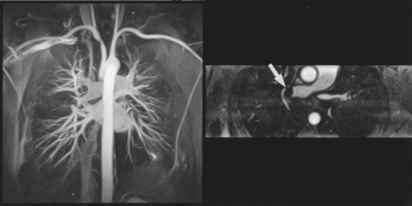 It offers many advantages over conventional MR angiographic techniques and is free from the risks of iodinated contrast material injection and arterial puncture associated with conventional angiography. The technique relies on the T1 shortening technique of the gadolinium agent, and images can be acquired in a single breath hold, making the approach ideal for imaging of the pulmonary vasculature (Fig. 4). The administration of gadolinium allows the use of very short TR times (made possible by the advances in gradient performance), which facilitate the acquisition of a 3D imaging volume with a reasonable number of slices within a single breath hold. This 3D technique may be viewed in cinematic fashion to depict hemodynamic changes associated with the cardiac cycle or reconstituted to create a three-dimensional display of the pulmonary vasculature. Two-dimensional and 3D pulmonary parenchymal perfusion imaging is also feasible and this subject is discussed below. Several workers have described techniques for contrast enhanced pulmonary MRA [28-31]. Most authors have used 0.2-0.3 mmol/kg of gadolinium and have tailored the injection rate and scan delay time so that the central lines of K space are acquired during peak arterial enhancement. A 3D fast spoiled gradient-echo sequence is generally employed and the phase order can be either linear or centric if bolus detection techniques are used. The slice thickness (2-3mm) and number of slices per volume thickness (50/10 cm) are tailored for each individual patient. Figure 4 Dynamic gadolinium MR pulmonary angiography MIP reconstruction (A) and single axial section demonstrating embolus in right pulmonary artery (B). In the first clinical study describing dynamic gadolinium MRA for the diagnosis of acute pulmonary embolism (n = 23 patients) spatial resolution was limited (slice thickness 20 mm, in-plane resolution 2.7 mm2) . All central thrombi but none of the segmental thrombi were depicted. Sensitivity was 70%, and specificity was 100% (Table 1). Meaney and coworkers then compared a superior MR angiography technique (Table 2) with conventional angiography in 30 patients with suspected pulmonary embolism . Sensitivity and specificity of 100 and 95% were obtained for segmental arteries. This limitation of evaluation to the segmental level and their conclusion that failures were mainly due to inability to breath hold both serve to highlight the need for shorter scan times and higher resolution imaging. acquires a 3D data set in 23 sec. However, even breath-hold periods of this length are undesirable in the typically dyspneic patients with suspected PE disease, and wide acquisition windows preclude time-resolved sequential imaging of the pulmonary arteries, parenchyma, and veins. The most current gradient technology and system bandwidth allow much shorter TRs than previously achievable, and this can be harnessed to expedite data acquisition proportionately. Preliminary reports from investigators at Northwestern Memorial Hospital, Illinois, implementing ultrafast, multiphase 3D gadolinium vascular imaging have illustrated exciting applications of these new capabilities in the evaluation of PE . This technique succeeds in imaging the pulmonary vasculature impressively quickly while maintaining sufficient resolution to visualize to the critical subsegmental level (Fig. 5). Their technique (J. Carr, personal communication, 2000) again takes advantage of the recent developments in gradient amplifier and gradient coil technology which allow significant shortening of the pulse repetition time (TR) (Table 2). They have implemented an ultrashort TR/TE (1.6/0.65 msec) spoiled 3D gradient-echo pulse sequence on a 1.5T scanner with a high-performance gradient system (40 mT/m amplitude, 200 T/m/sec slew rate) (Siemens Sonata, Iselin, NJ). Up to 16 sequential measurements are made in each study, each lasting 2-3 sec. Patients hold their breath during the image acquisition to reduce motion artifact and facilitate satisfactory subtraction. The entire study lasts around 24 sec. However, for evaluation of the pulmonary arterial and perfusion phases, only a short breath hold on the order of 7 sec is needed. The first 3D volume serves as the precontrast mask and is then subtracted from subsequent volumes so that the output includes the partitions from all measurements, a full set of subtractions, and a coronal maximum intensity projection (MIP) image for each of the subtracted sets. Figure 5 Example of normal gadolinium 3D MRA (A) with corresponding normal conventional digital subtraction angiograms of right and left lungs (B and C). (Courtesy of J. Carr and P. Finn, Northwestern Memorial Hospital, Illinois). temporal-resolution techniques in humans have also typically employed 2D acquisitions [32,33] but these Northwestern studies are achieving 3-sec temporal resolution using a 3D technique while maintaining spatial resolution. Ultrashort TR times, asymmetric K-space ordering, and data interpolation have been effectively combined to greatly decrease the minimum acquisition window achievable per 3D volume. Initial reports from Finn and Carr at Northwestern University indicate that, using ultrashort TR pulse sequences, time-resolved 3D vascular imaging of the lungs is feasible. Although their technique requires high-performance gradients and high-bandwidth electronics, all the components used in their method are now commercially available. The ability to perform high-quality imaging with high temporal resolution in short-breath-hold periods is an exciting development for imaging of pulmonary embolism and the results of controlled trials of the technique's accuracy are eagerly awaited.